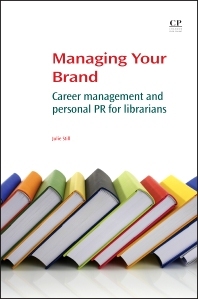 Managing Your Brand: Career Management and Personal PR for Librarians sets out guidelines for developing career pathways, including options for career change and the exploration of community service, as an avenue that can provide new opportunities. The text allows librarians at all levels to maximize their talents, providing them with career planning strategies that will facilitate professional development and personal satisfaction. Early chapters provide advice and strategies to readers, with later chapters addressing working relationships, librarianship, scholarship, and other forms of service. Librarians, library school students, general academics, public sector / non-profit professionals. Julie M. Still is on the library faculty at the Paul Robeson Library on the Camden Campus of Rutgers University. With a BA and MA in history and an MLS, she has worked in a variety of academic library settings, large and small, public and private. She is or has been active in library and campus governance and in union matters, as well as professional organizations at state and national level. Julie’s publication and presentation record is strong – five authored or edited books, over twenty published articles, and presentations at local, state, regional, national and international conferences. In the wider community Julie has been active in a local trails group, the citizens’ advisory committee of a bi-state transportation organization, PTA and scouts, and served as the assistant campaign treasurer for a congressional primary race.